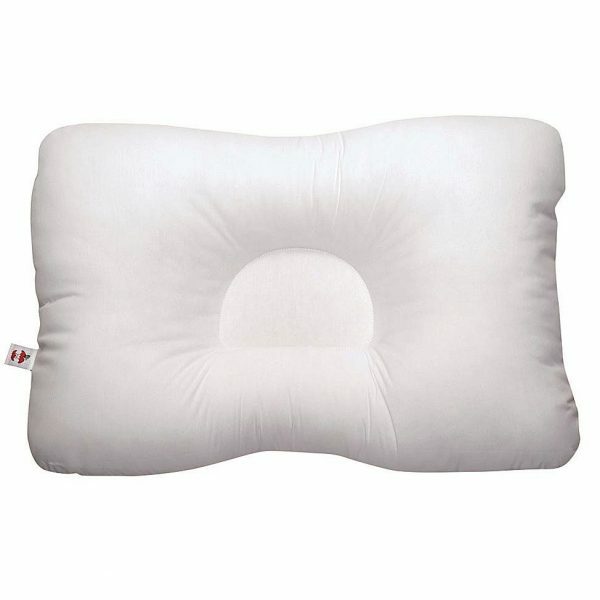 The D Core Neck Support Pillow employs a unique design and style, featuring a head cradle for proper stabilization and positioning while lying face up. 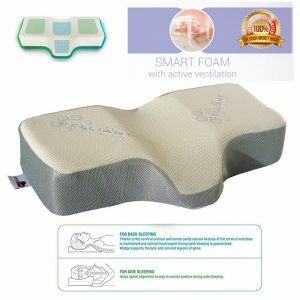 For the side sleeper, you can achieve a comfortable position by turning on the side sleeping sections in the left or right position. Allowing 2 distinct options for neck support, the d-core neck support pillow has a large size for large framed individuals and a smaller size for smaller framed individuals. 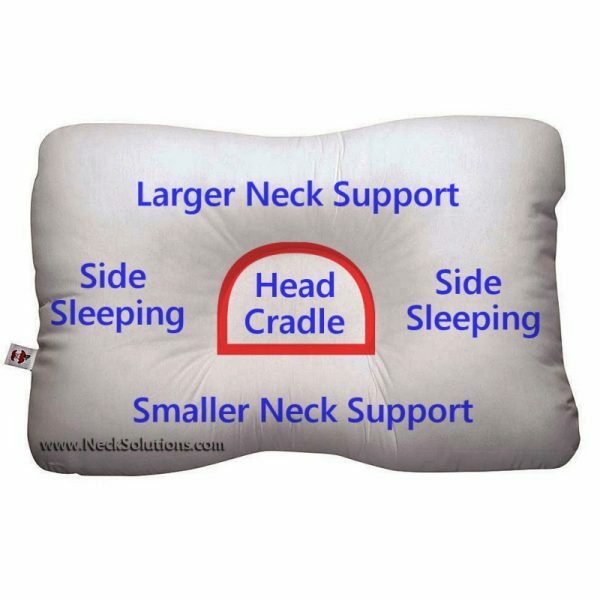 Easily turn the pillow around to give you more or less support in the pillow whenever you need or as your neck condition dictates. 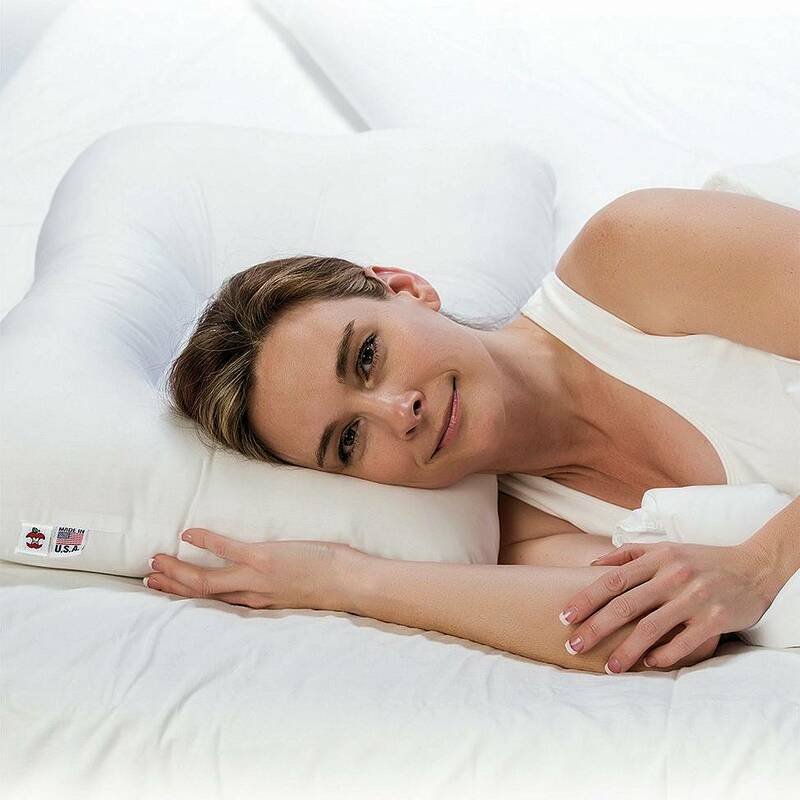 The fiber fill is both cooling and comfortable, while maintaining a high level of support due to the exceptional level of quality and design. 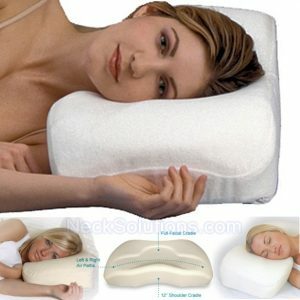 It is hard to get a better pillow for the price. 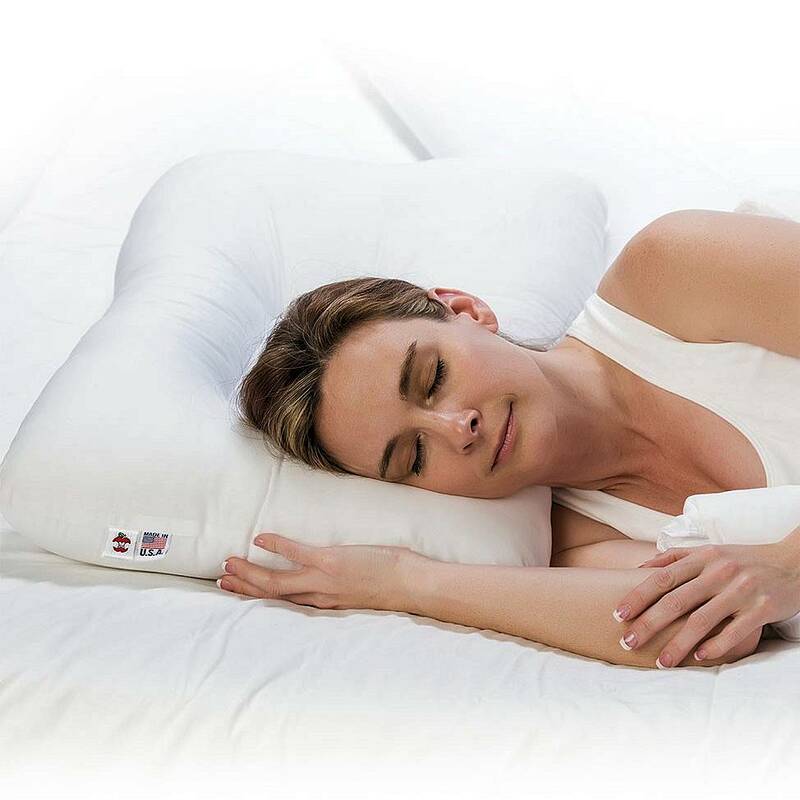 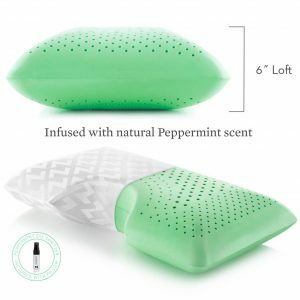 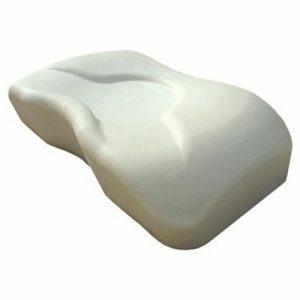 The pillow is designed to help with neck conditions that require firm, but comfortable support. 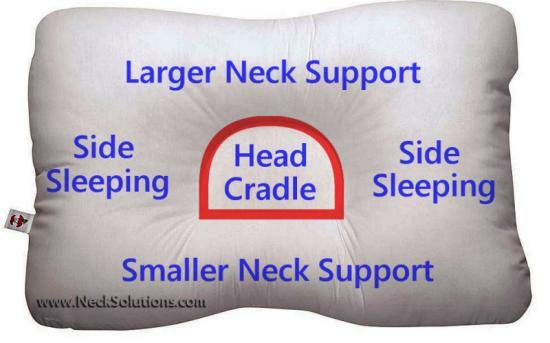 The cervical lobes at the top and bottom of the pillow will help maintain and restore the appropriate curve of the spine, therefore minimizing effects of pinched nerves, sore and aching neck muscles, degenerative arthritis and can help in healing with injuries like whiplash. 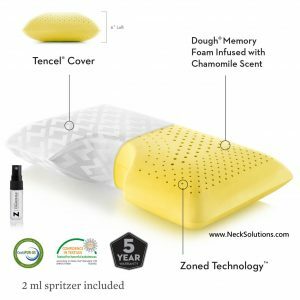 The support in the back sleeping position can also help to minimize heave snoring and the proper relationship between the head and neck promotes unobstructed airway. Turning on your side, the side sections maintain proper relationship between the head, neck and shoulders to promote a balanced position, minimizing morning neck stiffness and related headaches from increased muscular tension when the head is tilted all night. 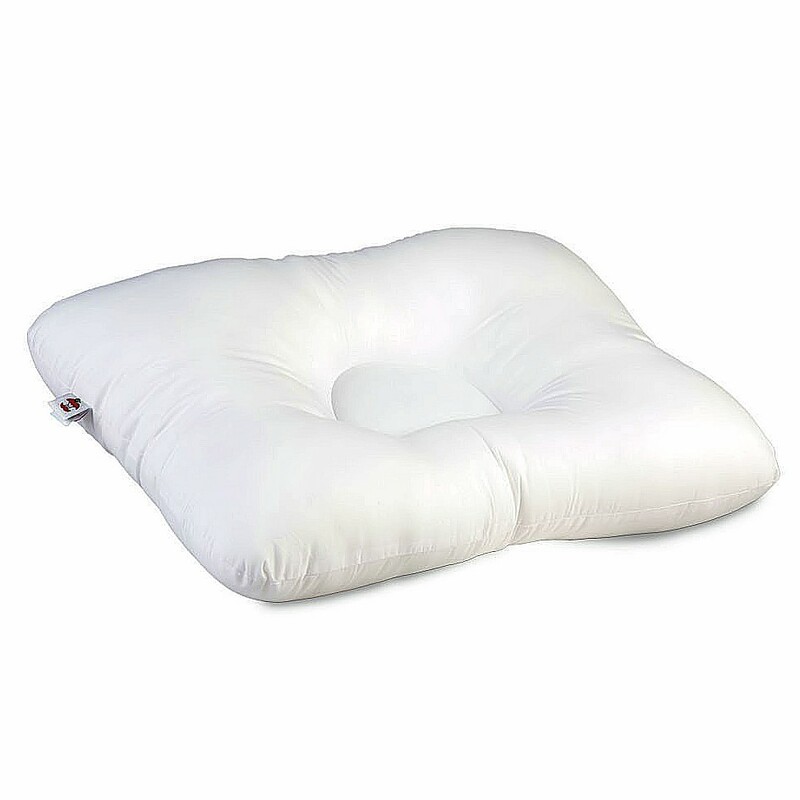 The D shaped center helps keep you head in a secure and comfortable position, while allowing a degree of motion as the top portion curves with the top of your head, and the side portions help prevent extremes of rotation. 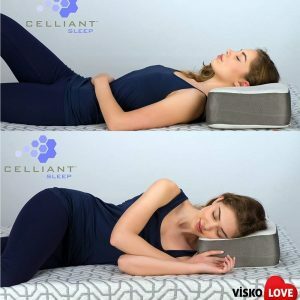 This also helps the upper back stay balanced and can have a positive effect on the entire spine, improving health and allowing for a better sleeping experience with less pain and a more refreshed feeling in the morning.